Work for Google Virtual Private Cloud (VPC)? Learning about Google Virtual Private Cloud (VPC)? "Google VPC - The best private cloud on the market"
One of the biggest advantages of Google VPC is SSD storage. Nowadays, this is much more practical than using hard drives. The advantage of disk drives is also the easy resizing of the instance, you can easily change the size of the instance from 25 GB to 50 GB without reinstallation. Another advantage of this VPC is the ability to create peer-to-peer connections. This enables us to protect our data on our cloud very well. It is also worth paying attention to the possibility of browsing shared VPCs and networks. This makes it easy to check with whom we share our cloud and, if necessary, take away unwanted person's access to it. Using GoogleVPC I did not encounter any major errors or flaws. GoogleVPC gives me access to storage and a lot of data without having to enter my IP, which makes me much safer. "Scalable, Secure and powerful "
It is easy to resize your instances like you can upgrade your instance size from 25 GB to 50 GB. No need to do all the steps and installation from scratch. It provides SSD storage which is more reliable and useful then HDD nowadays. Pricing of GCP, AWS and Azure are almost same. So, no need to move your projects if they are on Actions.google.com . 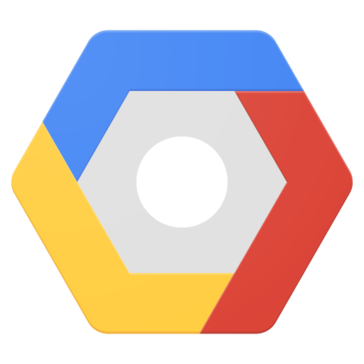 The availability of the instance is something that need to be looked after by Google Cloud. GCE is new to market but has shown great support from community and this is the reason that it stands in top 3 cloud service provider. You will get 300 $ of credits as joining bonus to make your web application live and be part of Google Cloud Community . Try it and learn it . We have developed some skills on Google Actions and we needed the Vision API. AWS and GCP both are providing this API. If one want to use it on AWS then they needs to move their project to AWS which is very difficult to set up. Instead you can use on GCP which provides 300 $ credits initially and has a great value in terms of performance. The ability to create peer connecting and to see the shared VPCs and networks. It makes it easy to see the status and have visibility. Also we can share VPC networks from a host project to other projects in your GCP organization by granting them access. Also, it can span multiple areas. It gives me access to storage, big dat, and analytics without giving away a public IP address-which has been instrumental. "Goole VPC my review "
Google VPC allows you to share one address for several projects, it can include several dactacenter. So far I have not noticed any flaws in this solution. The VPC network gives me access to resources and analysts allows me to create a global VPN routing. Google VPC allows you to create connections between multiple regions and vpn, which enables secure connection with VPC via IPsec. I have not noticed any disadvantages of this solution. This gives me access to many projects at the same time. "Excellent Share Working and Expansion Opportunities"
The ability to view others work products and heightened ease of communication. Be sure to use the tutorials to promote ease of use for the newer users. Expanding communication storage as well as being able to view in real time what colleagues are working on. "A good cloud solution from Google which enables global access"
The interface and architecture is easy to use, as you would expect from Google. Setting up VPNs across boundaries is a key strength. It integrates with the GSuite. No serious downsides. The Google VPC is a welcome competitor to a market previously dominated by Azure and AWS. A global client wanted a cloud solution that could be implemented in a firm which already used Google solutions and provided security. This did the job by enabling shared VPC network. "Provides isolation for security best practices"
The current VPC peering functionality is lacking in the ability to share custom routes between other VPC networks, needed to get on-prem routes to non-VPN connected VPCs. We are using it to create segregated zones off a Palo for West-East traffic flows. There us a limit for VM instances network. Google's always been the best at a simple, clean User Experience. The layout is not bogged down by a bunch of different menus or features, which makes management more simple. A few features are missing, such as remote memory wipe. If you need information to span across multiple geographical areas without using public internet, this is the way to go. Google offers a service to hold all our company documents securely. Nothing negative at the moment. Will need to use longer. "Fantastic way to store important data"
It has a fantastic interface and it's easy to use and integrate into your existing file structure. Sometimes Google chooses ease of use over functionality, but this didn't seem to be an issue here. Many benefits come from being confident in the security of housing filed in the VPC. I am a fan of everything so far, we are still in the new phases of implementing but seems promising. * We monitor all Google Virtual Private Cloud (VPC) reviews to prevent fraudulent reviews and keep review quality high. We do not post reviews by company employees or direct competitors. Validated reviews require the user to submit a screenshot of the product containing their user ID, in order to verify a user is an actual user of the product. Hi there! Are you looking to implement a solution like Google Virtual Private Cloud (VPC)?